The “New from Template” option allows you to create a document based on one of the many educational, business and personal templates included in MindView. The curriculum-aligned educational templates cover a range of learning levels and are supported by over a thousand high quality clip-art images created specifically to match all areas of the curriculum. 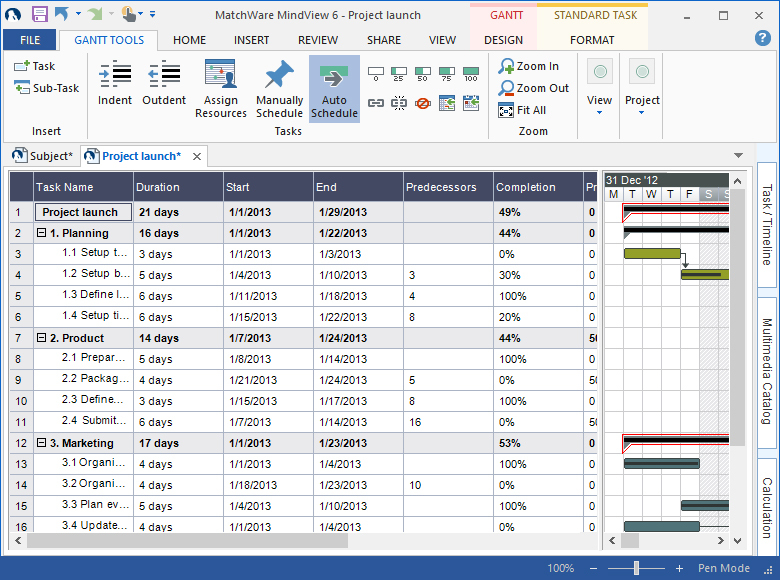 The Gantt chart template is an important feature in MindView. MindView also includes various ready-made project plans for common business activities. Organizing a trade show, producing a publication, launching a product and so on, for use in the Gantt view. You can use these for training purposes, or as a basis for your own project plans. 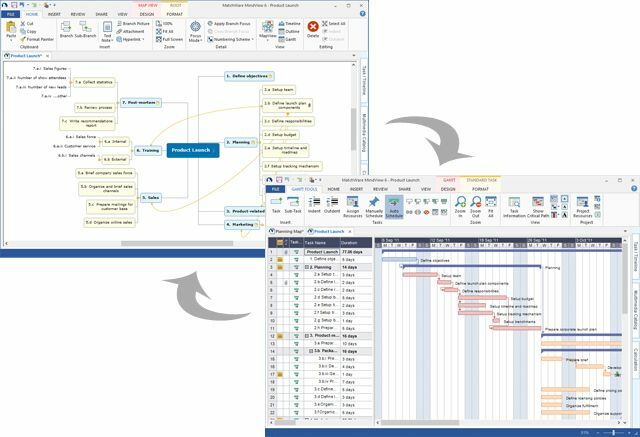 Changing from Mind Map view to Gantt chart view. Once you have created your mind map from one of these templates, you can easily tailor it to meet your particular needs. Ideas and suggestions for expansion show up in text notes and pop-up comments.